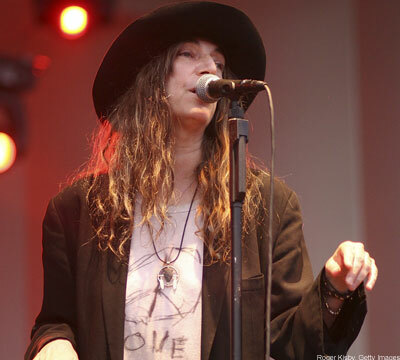 Martin walked over to me and said: I couldn’t help watching you because you look so much like Patti Smith. I found the comparison very flattering, Patti is one of the few female celebrities that is beautfiul in her own right without reference to standard definitions of femininity. This scribble was published on Monday, October 25th, 2010. You can follow any banter on this scribble with the RSS 2.0 feed. You can share your inspired musings after typing the anti spam word near the bottom of the page. But no Pinging because its too naughty. You are so lucky, I never get anyone thinking I look like anyone cool. Sounds like an good gig you were at. I’m off to see a dub Reggae band play Pink Floyd and Radiohead songs on Thursday in Reading. Should be good! Natalie Merchant? Nice one! I used to get a lot of comparison’s to Ms. Tikaram but she wasn’t cool back then. Maybe she is now though? And the circle is complete! Wendy looks like Patti Smith who first released Because The Night, and Happy Frog and I looks like Natalie Merchant who did a popular (at least in the US) cover. There’s one thing I don’t understand though; how can he say you look like Patti when she’s not wearing a hat? ?